You’re a small business with big ideas. But you just don’t have time to execute them. You just want to focus on what you do best. Yet you seem to spend more time on the “other” stuff and less time actually making money. If only you could wave a magic wand and have it all done for you. I’m Kelly Aldridge – a modern day Tinkerbell – and I help entrepreneurs and small business owners just like you to manage the day-to-day running of your business so that you can focus on income generating activities. I have over 10 years Corporate experience working within a range of industries as an Executive assistant at Director level. I’ve seen first hand the pressure and overwhelm that top Executives face despite having a whole team of support. Nevermind working solo and having to be anything and everything with limited hours in the day. You don’t have to feel the pressure and strain as you try to push your business forward while overwhelm holds you back. You don’t have to neglect your family, your friends, YOURSELF as you spend every hour trying to get everything done alone. You need someone that you can trust who shares your passion, your vision and who can add a sprinkle of magic to get things done in the background while you work in your zone of genius. I’m so pleased that you found me. 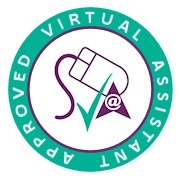 I provide virtual assistance in the health and wellness sectors. I am passionate about health and wellbeing and as an ambitious mum of a lively 2-year old I completely understand the importance of good physical and mental health and biz-life balance. I really take my clients’ businesses to heart and love sharing and spreading their messages and values. I have extensive knowledge of business systems, processes, email marketing strategy and social media management. I can manage your diary, liaise with the media or even update your WordPress site. Whether it’s a business requirement, or something personal, I can take the weight off your shoulders and give you the peace of mind – and time – you need to focus on your passion. For a full review of what I can do for you, head over here. Allow me to wave my wand so you can make magic happen in your business. If you’d like to read what my clients have to say, click here. To arrange a chat to discuss how we can make magic together, click here. Experiment with Tinkerbell’s magic to see how she can breath more freedom into your biz.